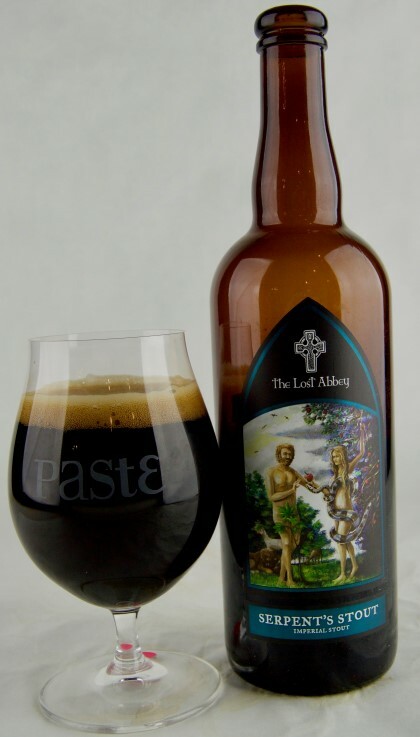 Also check out our Let’s Talk Beer Styles: Imperial Stout companion piece, where we dive into the history of Russian imperial stout, and whether there’s actually anything “Russian” about what you’re drinking today. 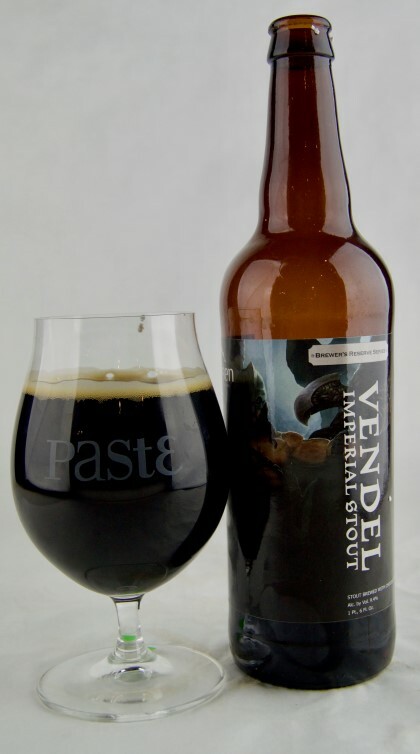 The last time we tasted (non-barrel aged) imperial stouts it was January of 2015, a full two years ago, only a few months after I’d arrived at Paste. At the time, the fact that we’d assembled 37 imperial stouts to drink seemed like an absurd feat—what, we have to do three whole days of tasting? Who’s got the time??? Well, fast forward two years of Paste beer coverage, and it’s now a whopping 102 imperial freakin’ stouts, and once again, that’s including zero barrel aged or wood aged beers of any kind … because we’re doing those in February. Which is insane, because we were definitely feeling the effects of THIS group, let alone the barrel aged behemoths that are coming. So what I’m saying is: Pray for the Paste staff in February, won’t you? We appreciate it. This year’s batch of stouts brought us flavors of every possible description and origin. We had coffee stouts, oatmeal stouts, vanilla stouts, maple stouts, sour stouts, mole stouts, peppermint stouts, coconut stouts, fruited stouts, peanut butter stouts, hoppy stouts, peppermint stouts and more. To say that it was a challenge to taste so many different things in a blind setting is an understatement. We had some world-renowned stouts, award-winning beers, and totally unheralded brews that ended up dominating the competition. We pretty much saw it all. So let’s waste no more time, and get right into it. Ultimately, there’s no way I can adequately communicate the amount of hours that goes into each of these tastings. 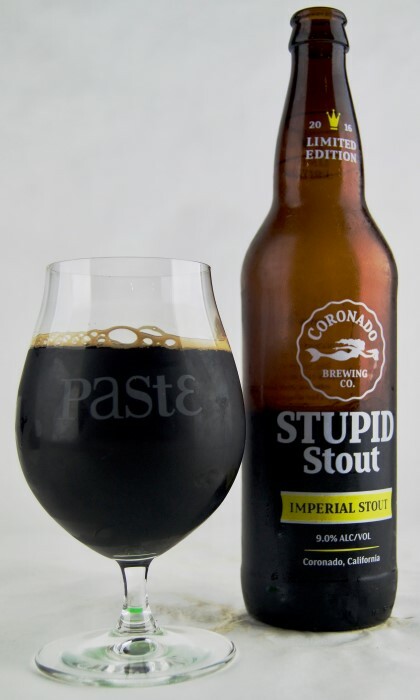 For this particular one, I visited six different liquor stores while searching for a particular stout that was important for us to have, only for it to not even make the ranked section of the list in the blind tasting. Other times, important beers don’t arrive for reasons completely out of our control. For this one, our friends at Grimm Artisanal Ales in NYC shipped us two stouts—including the 2015 GABF gold medal winner, Double Negative—only for UPS to lose track of the package en route. As of this article’s publish date, it STILL hasn’t been located. So we missed out on a GABF gold medal winner in this tasting just because of the incompetence of a parcel delivery service. This is the kind of stuff that affects each and every tasting. — There was no ABV limit for this tasting, for obvious reasons. All beers had to be labeled as “stout”—no imperial porters, which I disallowed because I figured if we accepted “imperial porter,” then we would probably have to accept “Baltic porter,” and then we’re only a step away from accepting imperial schwarzbiers, etc. — There was no limit of entries per brewery, but I did disallow the occasional beer for being too similar to another entry. The beers were separated into daily blind tastings that approximated a sample size of the entire field. — Tasters included professional beer writers, brewery owners, professional brewers and beer reps. Awesome, Paste-branded glassware is from Spiegelau. At this point, it feels like I always seem to write a disclaimer here, explaining that we quite enjoyed most of the beers in The Field, but this is especially true for imperial stout. 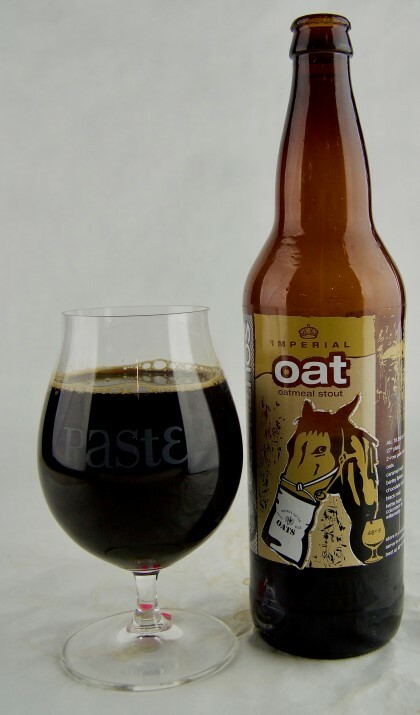 Because really: The typical brewery’s imperial stout is a pretty tasty thing, and something we’d be happy to drink any Friday night (or Monday morning). What I did note was that, as expected, the cream of the “best-made” stouts rose to the top, regardless of whether they had various adjuncts. 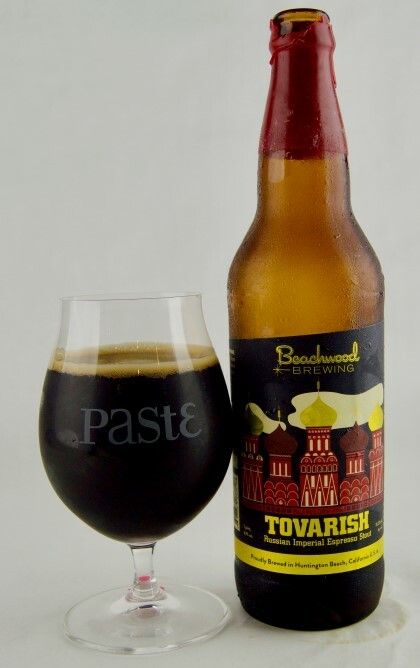 There were coffee stouts, vanilla stouts, coconut stouts, fruited stouts, etc., that all ended up in the field, and plenty of regular old “Russian imperial stouts” that made the ranked portion. I’m a big believer that the best pure beers rise to the top. The beers below in The Field are listed in alphabetical order, and are thus not ranked. I repeat: These beers are not ranked. 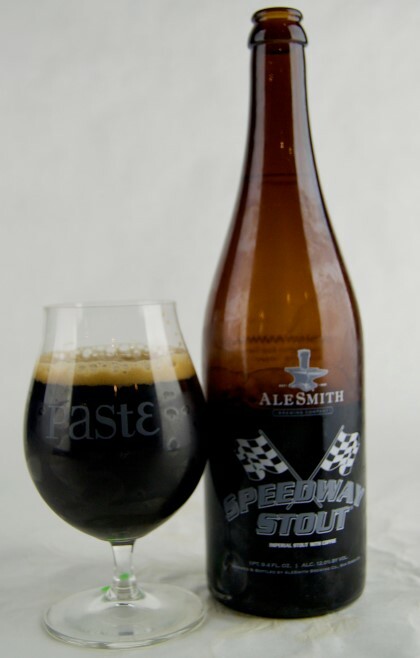 The verdict: Another classic of the genre—who has ever had Speedway Stout and not enjoyed it? This is one that definitely earns its 12% ABV, because there’s no missing that it’s a big beer. The mouthfeel is thick as a milkshake, which combines with a very rich, almost syrupy quality of residual sweetness to make a beer that is halfway to porto digestif. Coffee is distinctive but not declarative, and it doesn’t ever threaten to dominate the proceedings. 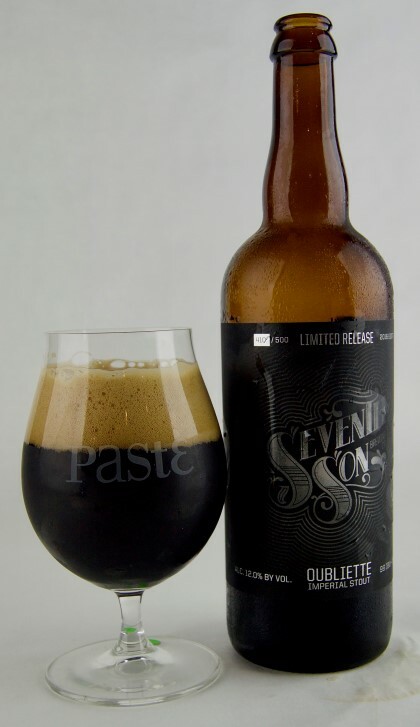 Because of the residual sweetness and thick, silky texture, this is a stout that comes off as decadent, the kind of stout that you would believe was barrel aged if someone handed it to you with that descriptor. It’s a collection of flavors that is a little bit of everything, but you’re never disappointed at dropping a few bucks for a 750 ml bottle of this stuff. It’s been a great beer for 15 years or more at this point. The verdict: This sought-after beer from Perennial Artisan Ales revels in the whole “Mexican hot chocolate”/mole flavor profile that has become popular for imperial stouts in recent years, and is regularly considered one of the best of that subset. I say “revels” because there’s nothing subtle about the spicing of this beer; its cinnamon in particular is big, fragrant, sweet and in your face, making the beer smell like a brown sugar cinnamon Pop Tart that is fresh from the toaster. Rich dark chocolate is present in equal measure, and the chiles slowly come through on repeated sips with a final, lingering touch of (very mild) heat. 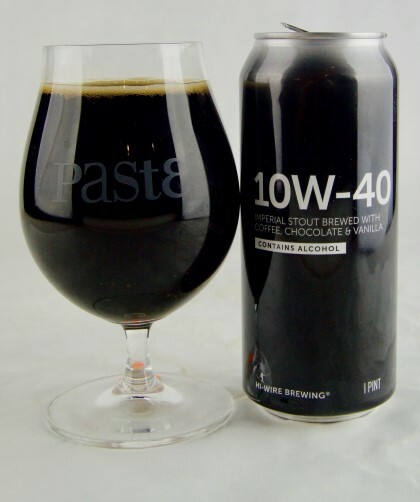 When this beer was first released in 2011, it may have been a complete novelty to drinkers trying it for the first time, but a glance through this tasting will show that there are many other stouts in the same mold. 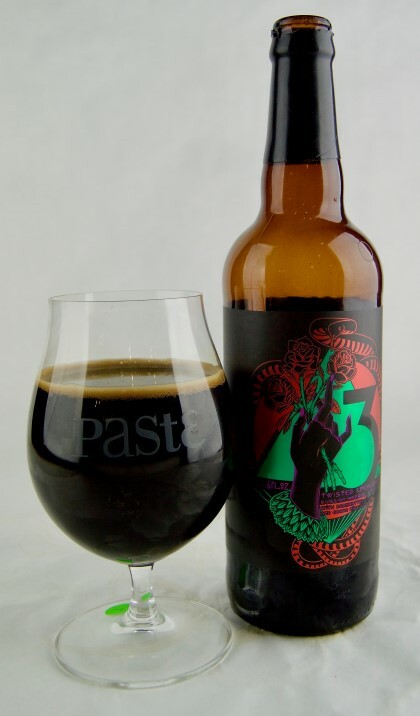 What ultimately ended up setting Abraxas apart this time wasn’t necessarily the spice-heavy flavor profile, but the wonderfully silky mouthfeel and full body that amplify the sense of decadence in drinking it. 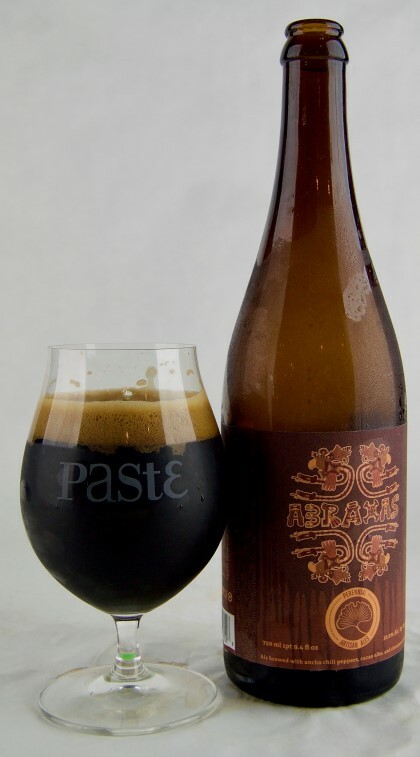 Abraxas remains exemplary dessert beer; pair with vanilla ice cream or freshly fried churros. 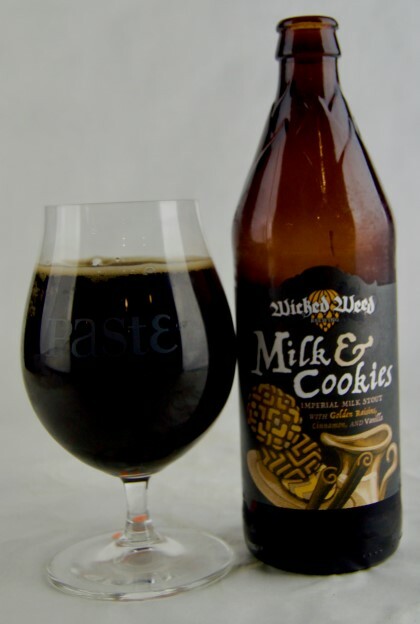 The verdict: Sometimes a beer is just “fun,” and that’s what Milk & Cookies is all about. 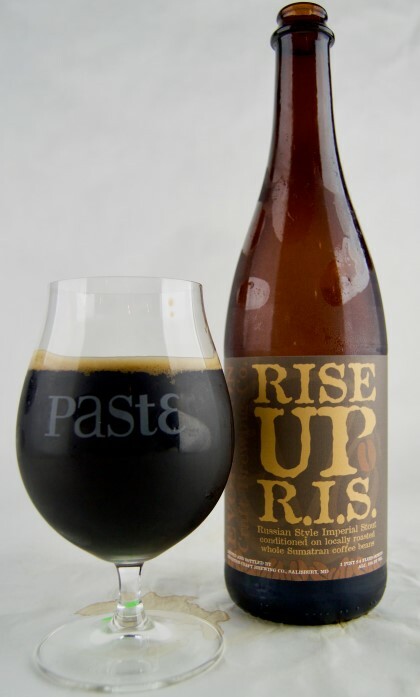 At 8.5% ABV, it’s just over the necessary ABV to jump from a “stout tasting” into an imperial stout tasting, but it’s not supposed to be a beer that is kicking down doors and holding your taste buds hostage. Some tasters noted that it seemed like a beer left over from our previous blind tasting of 104 Christmas/winter beers, likely because of the cinnamon. Unlike some of the other cinnamon-laden beers, though, this isn’t one with chocolate or chile additions—instead, it features vanilla, golden raisins and lactose. 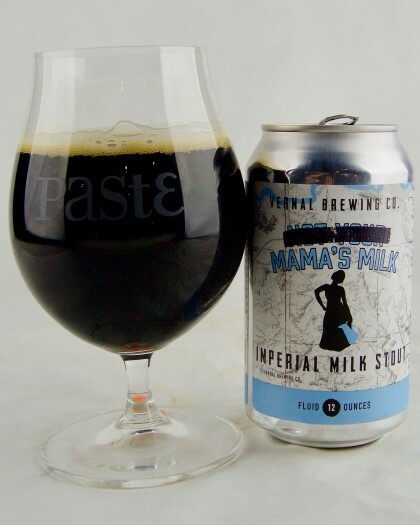 The result is playful and easygoing; a creamy and moderately sweet stout that evokes Grandma’s kitchen and fresh-baked oatmeal raisin cookies with cinnamon—or raisin-ed snickerdoodles? Is that a thing? Regardless, it’s not the kind of beer you’re meant to overanalyze. It’s the liquid equivalent of winter evening comfort food, a purpose that it perfectly serves. The verdict: I swear, I’m not purposely placing these similar beers next to each other in the rankings, it’s just a weird string of coincidences. And in reality, this one isn’t terribly similar to Milk & Cookies, despite being another milk stout with the same 8.5% ABV. It features the prominent, creamy texture that you would expect, and a nice balance of roast and moderate-to-high residual sweetness, along with some toffee-like caramelization. The most unexpected aspect is the fruitiness that follows, however, an impression that is perhaps amplified by the beer’s sweetness. For whatever reason, some tasters got an almost “jammy” type of fruitiness from this beer, citing either cherry or strawberry notes. We may be completely off-base on this one, but whatever it is, we enjoyed it. I believe this is the first appearance of Vernal Brewing Co. in these tastings, and we hope we’ll be seeing more from the Utah brewery in the future. The verdict: Evil Twin’s Even More Jesus gets more mentions, but in this tasting we ended up gravitating toward the vanilla-infused Soft DK instead. 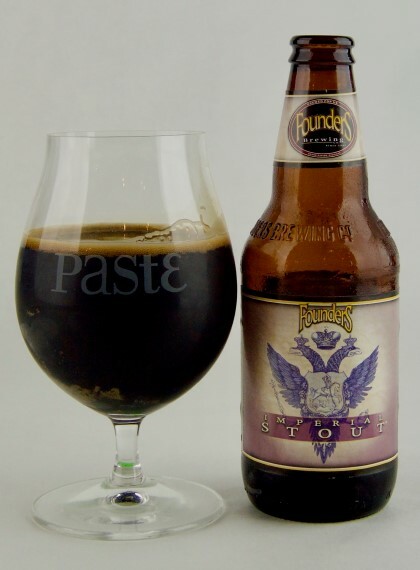 Unlike many stouts making use of vanilla bean, it’s pleasantly reserved in how it presents that flavor; subtly rather than trumpeting it to the heavens. The roast here has an almost woody or oaky quality, which intermingles with an undercurrent of dark fruitiness to produce something that is slightly vinous and unusual. 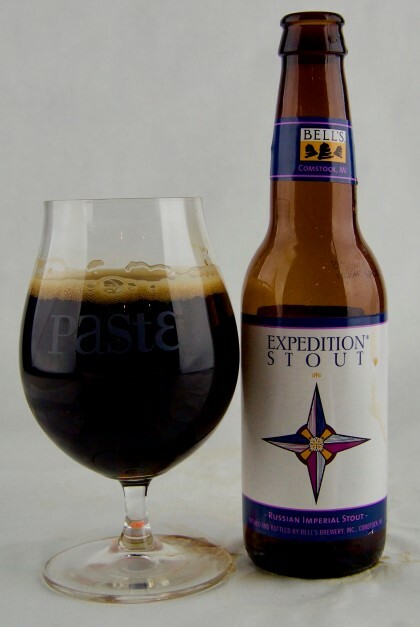 Other tasting sheets praise the soft mouthfeel of the stout, but it seems like this is one where each taster was picking up significantly different elements, while still enjoying the beer for disparate reasons. Regardless, it works for us. The verdict: Societe proudly notes on the bottle for The Butcher that this stout doesn’t need any stinkin’ coffee or chocolate additions to be great, and damn it, they turned out to be right. It’s an interesting profile that strongly plays up the roast and especially the chocolate character, with moderate residual sweetness, but without significant alcohol presence or the dark fruitiness that usually comes with it. 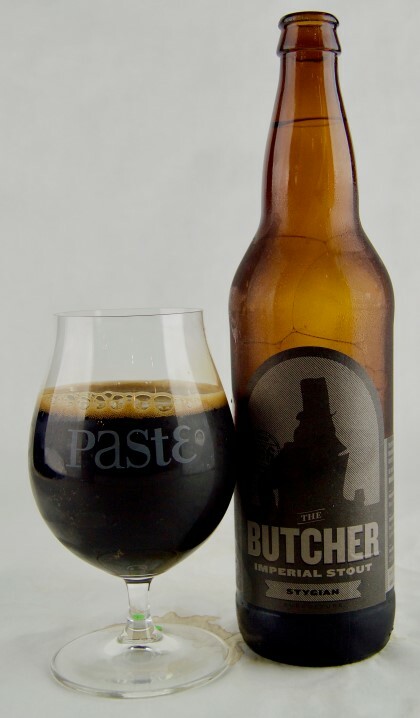 You might say that limits the overall palette of flavors it’s working with, but The Butcher instead just paints with a variety of roasted malt and chocolate hues. 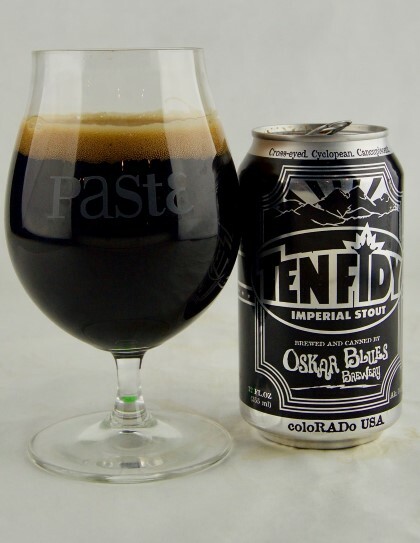 It’s fairly approachable, with moderate viscosity that seems just about right for the ABV, but a crowd-pleasing malt profile that you just want to dissect and linger over. It’s an imperial stout you could probably drink by the pint, or the 20 oz glass, if only that wasn’t a terrible idea. The verdict: Here’s the thing about coffee stouts: There’s definitely such a thing as “too much coffee.” We know this to be true, and we experienced it a couple of times in this tasting—ridiculously roasty, obscene amounts of coffee that just totally overpowered several beers that otherwise could have been really interesting. 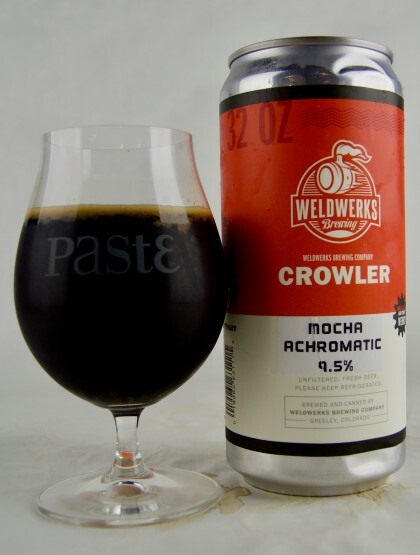 Mocha Achromatic from WeldWerks comes dangerously close to that threshold, but stops just before it gets there—it’s the biggest pure amount of coffee flavor present in any of the beers to make the ranked portion of this list, and it’s not really close. So in other words: You better love coffee and roast, if you’re seeking this one out. Smoky, oily and exploding out of the glass with espresso-like aromatics, it backs up the coffee with dark, bittersweet chocolate and subtle hints of currant-like dark fruit, but you’re always going to be inexorably drawn back to the bean. How caffeinated is this beer, we wonder? It should be served in cafes out of tiny espresso cups, served with a dab of whipped cream. The verdict: Hoppin’ Frog is one of those breweries that has been making great imperial stouts for a long, long time, without ever quite getting the recognition they deserve. In this tasting, they sent us the two stronger variants—D.O.R.I.S. and the new T.O.R.I.S.—but also three different versions of the original B.O.R.I.S., which includes “Reserve” and “Grand Reserve.” Here I had to disqualify a couple, given that all three versions are essentially the “same beer” recipe, except made with more expensive specialty malts for the reserve versions. Feeling that we should probably use the most sought-after version to represent B.O.R.I.S., I chose the Grand Reserve, and judging from its ranking I probably made the right choice. One immediately notes the foam, which is extremely dark brown for whatever reason, and makes the beer distinctive in the glass. 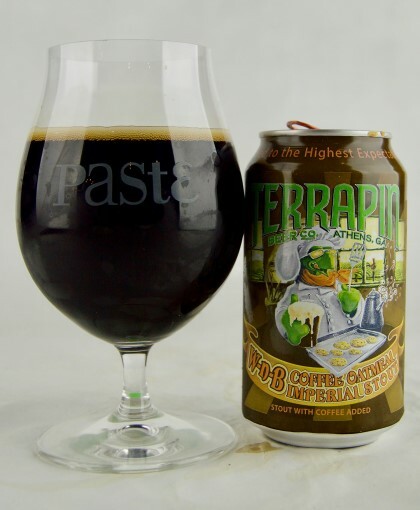 The beer is wonderfully complex and full of subtleties: More nutty, caramelized and genuinely “malty” rather than overtly roast heavy, and with a lingering dark fruitiness. This is a lower pure volume of flavor than many of the other beers on the table, but all of the tasters were taken with its subtle approach and balance. Sometimes, refinement can help you stand out just as much as bombast. The verdict: When we were doing this back in 2015 with only 37 beers, this same brew from Spiteful placed at #4—it is the real deal, folks. Another stout in the Mexican hot chocolate/mole subset, the obvious comparison is Perennial Artisan Ales Abraxas. Next to that beer (although they weren’t in the same day of tasting together), Malevolence strikes us slightly less cinnamon dominant, although it’s still a primary player. Mouthfeel is thick and viscous, with moderate residual sweetness and both dark and milk chocolate flavors. Slightly less sweet overall than the Abraxas, and a bit thinner of body, it gets some interesting character out of the blend of chiles incorporated into the beer, a prickling peppery spice and flavors of raisin/prune. It’s still firmly in the category of “dessert beer,” and a damn good one at that. If Mexican stouts are your thing, it’s one you should be adding to your list. The verdict: Welcome to the moment when we wondered “Oops, did we accidentally let a black IPA into this imperial stout tasting?” Turns out the answer is “No, it’s just Three Floyds.” Aha! Makes sense. This stout was truly unique among the 102 beers in this tasting. Yes, we had a few of them with significant hop presence, but we didn’t have a single other beer that used them in such an effective way as this one. You stick your nose in the glass and the last thing you’re expecting is the wave of resinous, piney, grassy and citric hops that roll out, but so help me it just works beautifully. There’s a light, ashy roast complementing the hops here, and a beer that is significantly thinner of body than you might expect for 10.4%, which is probably a good thing. Hop-derived bitterness is on the high side, which only enhances the perception that they could probably market this beer as a really excellent imperial black IPA. Still, it drinks on the easier side compared to many of the other, burlier imperial stouts in this blind tasting, which works quite well with the hop profile. When going into this tasting, the last thing I would have expected would be for a really hop-forward stout to end up in the top 10, but Blot Out the Sun changed my mind quite effectively. The verdict: I’ve read some accounts of this beer that make it sound like a total smoke bomb, but we honestly didn’t find the smoked character to be oppressive or even all that pervasive when tasting blind. It tastes big, but not necessarily 14% ABV big, with very well-hidden booziness that makes us wonder if perhaps this bottle had some significant age on it. 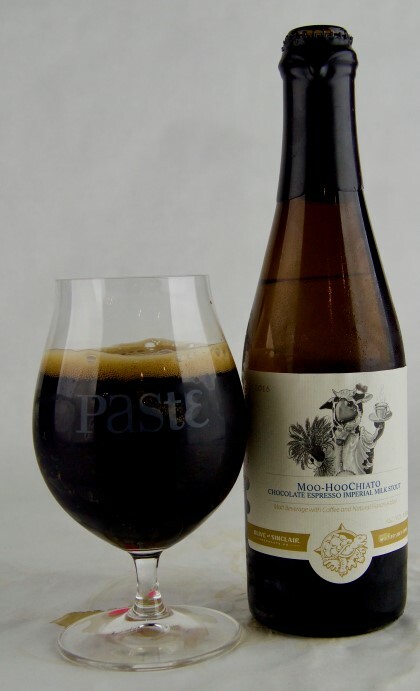 Regardless, this wonderfully named beer presents some dynamite chocolate flavors in particular, beginning with a sweet, milky chocolate that morphs into something far darker and bittersweet. Deep, toffee-like caramelization adds richness and gives way to smoky char that lingers for quite a while. 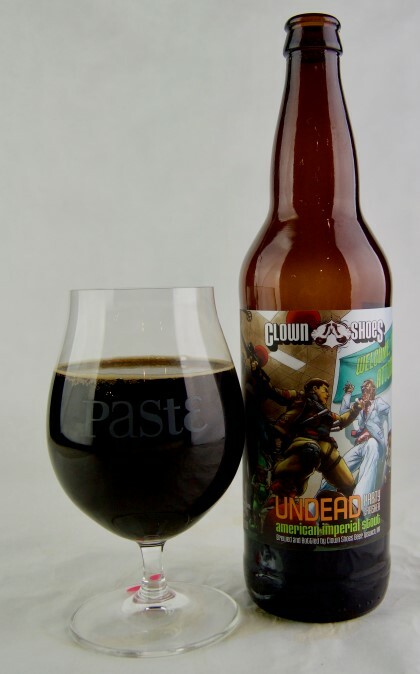 There are a few tasters present at Paste tastings who occasionally have a hard time with smoked beers, so the success of this one speaks volumes for the skill of the people at Clown Shoes. They really dial in their stouts quite well. The verdict: Our #1 non-barrel aged imperial stout back in 2015, El Gordo once again rises to the top of the pile in a much bigger tasting. Falling on what ended up likely being the strongest overall day of the tasting, it blew tasters away with its big flavors and wonderful texture. Viscous, creamy and positively silky, it pours with the consistency of motor oil. 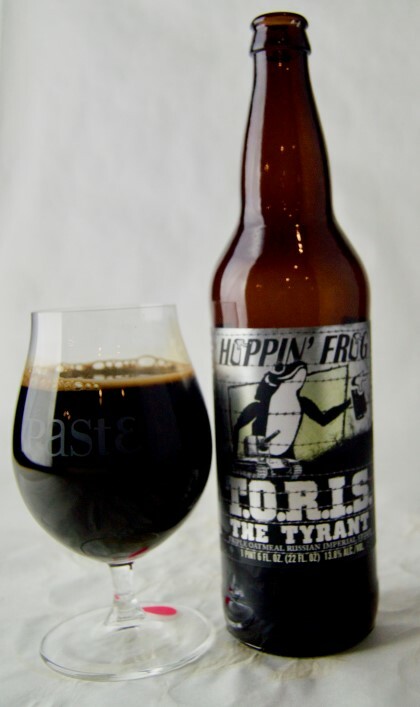 Molasses-like sweetness, vanilla and raisiny dried fruit are present, although the fruitiness isn’t quite as in your face as in the equally burly Hoppin’ Frog T.O.R.I.S., which was on the table at the same time. 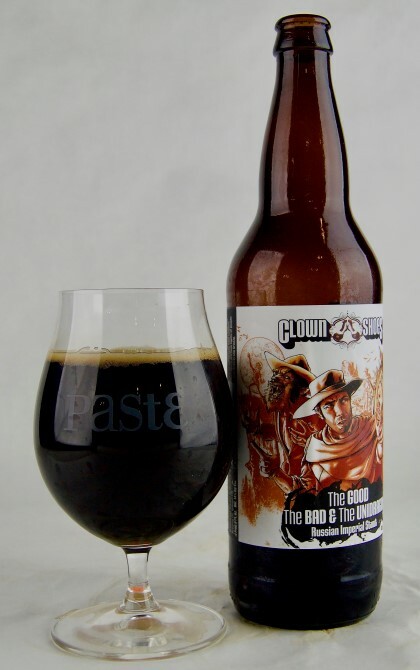 Roast, meanwhile, is obviously present but moderate and tactful, not quite as pronounced as in a few of the other stouts in this weight class. 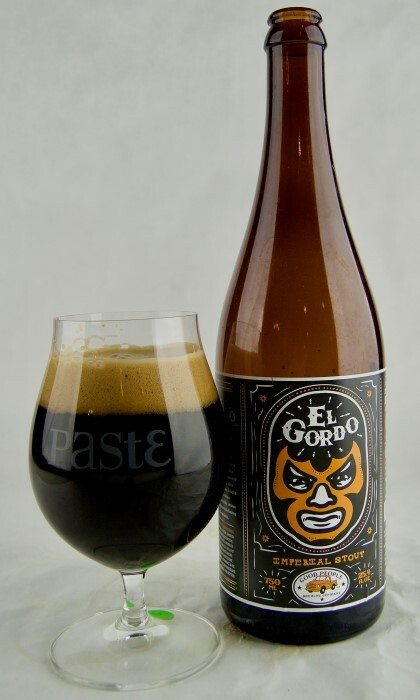 Rather, El Gordo struck us as very well balanced this time around, likely because the lineup has grown so much bigger and wilder than it was in 2015. Of course the bigger your stout becomes, the harder it is to find true balance, so this is something that should be celebrated. Suffice to say, we’re thrilled that there will also be several barrel aged versions of El Gordo in next month’s tasting. The verdict: When you’re blind tasting, it’s all too easy to fall into the trap of “more assertive = better,” every single time. It’s a defensive mechanism of writers, because we’re often risking our own reputations as tasters in choosing and defending beers when tasting blind, so tasters tend to rate strong flavors more highly almost by default. This beer from The Bruery, meanwhile, flies in the face of that logic. Unlike some of the other mole-style stouts on this list, it doesn’t lean hard onto cinnamon as the first, primary flavor note you’re getting on the nose or the palate. In fact, you sort of have to search that cinnamon note out, because it’s merely a supporting player in what is already a rich, creamy, well-made stout. 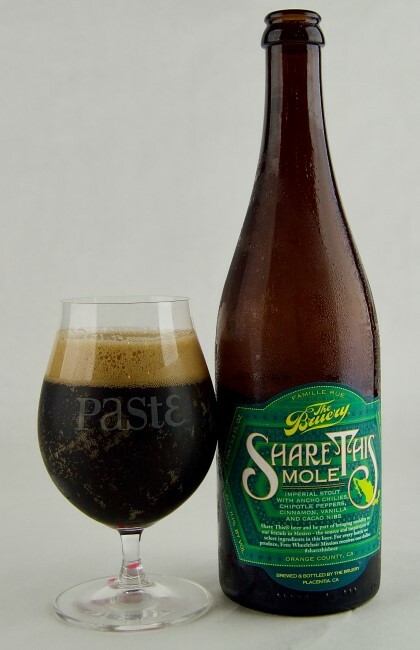 Rather, this is one mole beer that seemingly sets out to make the chiles more the center of attention, incorporating a peppery spice and slight vegetal note without significant heat on the palate. It’s a beer that rewards careful tasting and repeated sips with new dimensions of light cocoa nuttiness and vanilla, and a slowly building chile spice. We very much admire the craftsmanship at work here, taking a subset of stout that is often desserty and trying to make something less decadent and more contemplative out of it. The verdict: Disclaimer: Wild Heaven’s owner was present for these tastings, but we never use his ratings for his own beers, for obvious reasons. What we have here is a very unique, outsider’s imperial stout—massively thick, rich, viscous and boozy, but with a twist. The brewery takes that base beer, and to it they add smoked cocoa nibs and raspberries. The end result is subtle, complex and utterly unique, even in the context of a tasting of this size. The base beer is quite formidable, awash in vinous character, nutty cocoa and booze. 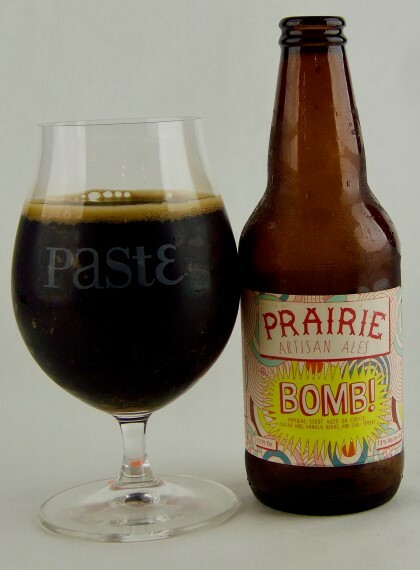 Taking the light smoke note with the nuttiness of the cocoa nibs and the plethora of dark fruit impressions, you might almost come to the conclusion that the beer had utilized ancho chiles or another dried, dark pepper variety. As the beer warms, though, the fresher, jammier berry notes introduced by the raspberry become increasingly assertive, and it slowly becomes clear that the stout you’re drinking is also fruited. The end result is a bit like chocolate-covered raspberries, soaked in brandy. That’s some heady stuff. The verdict: The most impressive thing about this beer from Westbrook is its restraint. This is a stout with cocoa nibs, roasted hazelnuts and vanilla bean—seemingly born and raised to be a gimmicky, Nutella-esque dessert beer—and yet we’d hesitate to call it that. We will say that it punches way above its weight class in terms of flavor and especially texture—in this entire tasting, this is the beer we were most shocked to reveal and see something that was “only” 10% ABV, rather than 15 or 16. 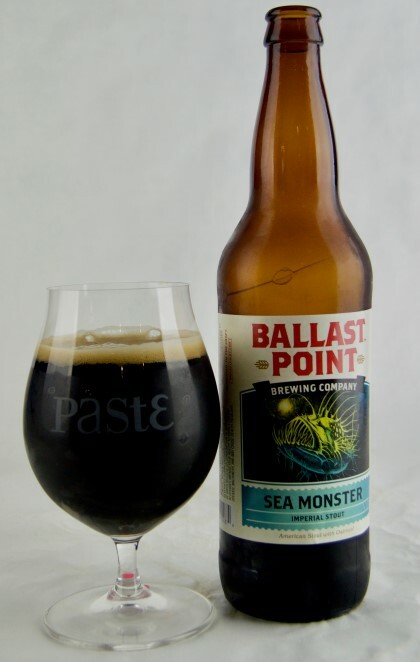 And that’s not even to say this beer is “sweet.” Rather, its light nuttiness, roast, vanilla and fudgy cocoa are carefully, tactfully integrated into a stout that texturally feels like it’s the size of a battleship. To quote one score sheet: “Thick as motor oil, holy moly.” To quote another: “Big, lovely, almost port wine-like.” It manages to achieve making something decadent without being anywhere close to cloying. This is masterfully made. The verdict: This one is no particular surprise, as Darkness has consistently been considered one of the best non-barrel aged stouts in the country over the years, but we imagine that Surly will enjoy the feather in their cap all the same. 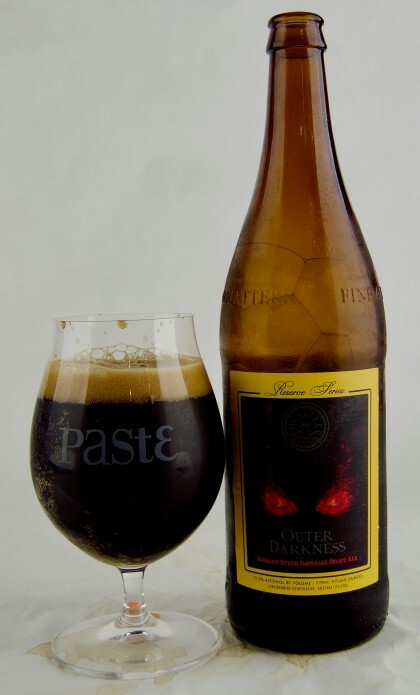 Burly and rich, but balanced, Darkness is a synthesis of everything that craft beer geeks tend to like about this style: Roast, cocoa, dark fruitiness, dried fruitiness, and of course booze. A silky, creamy mouthfeel gives way to prominent cocoa flavors, what one tasting sheet referred to as “German chocolate cake,” sans coconut. Booziness is considerable, but not overwhelming—rather, it’s one of those beers that rolls down your throat and begins warming your chest. 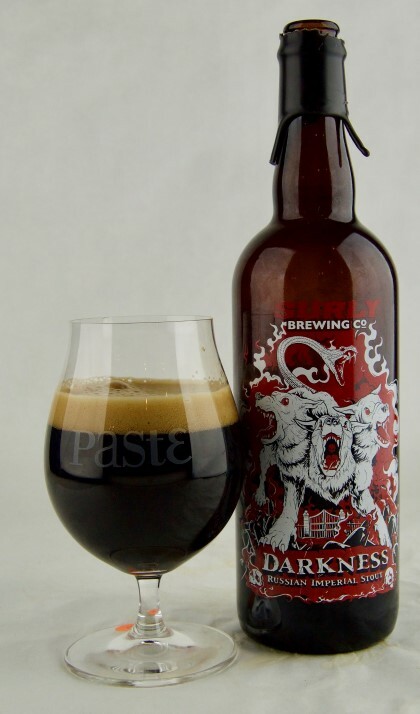 Like the Westbrook that precedes it, Darkness also feels like it could reasonably be a few ABV points bigger than it actually is, which is likely a testimony to how well the brewers know their craft. Dried fruit impressions of raisin and perhaps fig are a signature note here, but the whole of the beer is more than the sum of its parts. The verdict: Way back in the summer of 2014, I visited a young brewery in Denver called River North while spending five days drinking my way up and down the breweries of the front range. Although they’re now housed in a different building, I noted then that they could make a good stout. Now, they’ve made our #1 non-barrel aged imperial stout. River North sent in no fewer than four stouts for this tasting, all of which were interesting in some way. 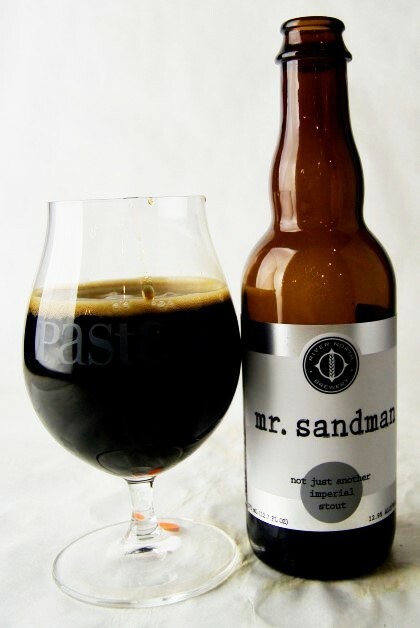 Mr. Sandman is the closest to a “standard” imperial stout, being the same base beer used in their coffee variant, Nightmare Fuel. The latter was also included, and proved divisive in the blind tasting because there was just so much coffee in it. In a tasting of 102 imperial stouts, River North undoubtedly, easily, without question made the beer with the most insane amount of coffee character, and that beer still didn’t make the top 40 because frankly, some of the tasters just couldn’t deal with such an overwhelming surge of java. 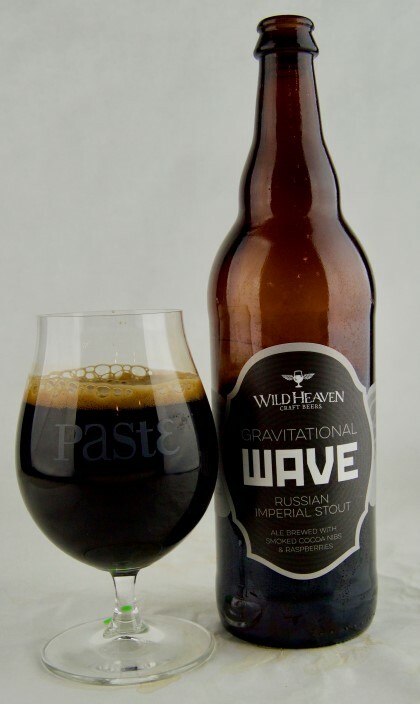 The version without coffee, though, was a revelation—one of those rare beers that comes along and no one at the table has anything negative to say about it. 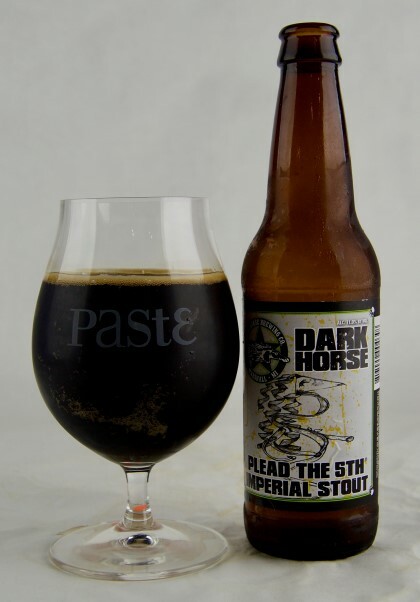 It excels not by being specifically unique but by assembling a pitch-perfect composite of all the flavors you want in a big, motor oil imperial stout. Dark fruit flavors of raspberry and cherry intermingle gently with dark, bittersweet baker’s chocolate. Sturdy roast provides a drying counterpart to molasses-like caramelization. Booze—there’s definitely booze, no doubt about that. And like so many of the other great stouts, the x-factor is textural, as Mr. Sandman perfectly balances a decadently creamy mouthfeel with surprising, dangerous drinkability. You could nurse one of these all night, or you could just as likely consume it all too quickly. That’s what being a great imperial stout is all about. 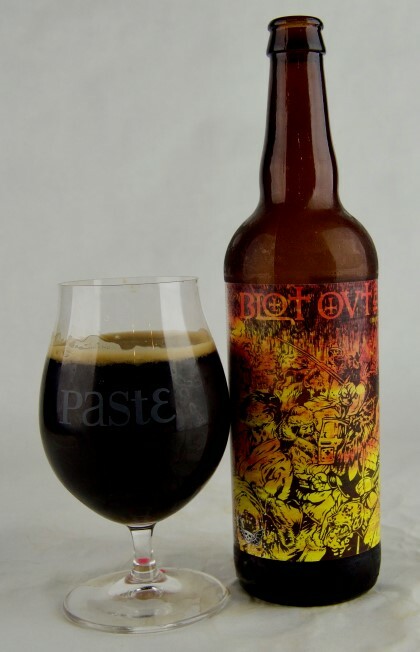 Jim Vorel is Paste’s resident craft beer guru and blind tasting czar. You can follow him on Twitter for much more drinks coverage.